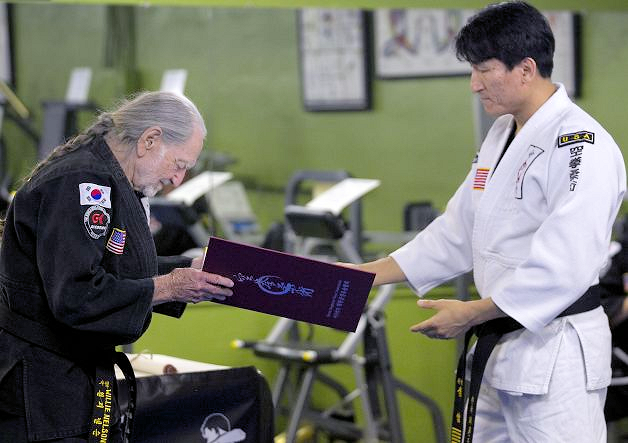 Earlier this week, shortly after his 81st birthday, country music legend Willie Nelson was awarded a 5th degree black belt in GongKwon YuSul, a little known Korean martial art which he has studied since the 20th century. "I'll have the beulauni haesi"
This is the third black belt which Willie Nelson has earned. He already holds a second degree black belt in Tae Kwon Do, and a 5th degree black belt in Gongdong ab-yeon, a Korean form of Origami based upon rolling paper rather than folding it. Willie Nelson has been a mentor to many musicians over his 6 decade career, and not just musically. He has inspired numerous country stars including Zac Brown Band, Kenny Chesney, Eric Church, Dierks Bentley and The Pistol Annies. One of his most successful students is not even a country singer. Calvin Cordozar Broadus, Jr. a.k.a. 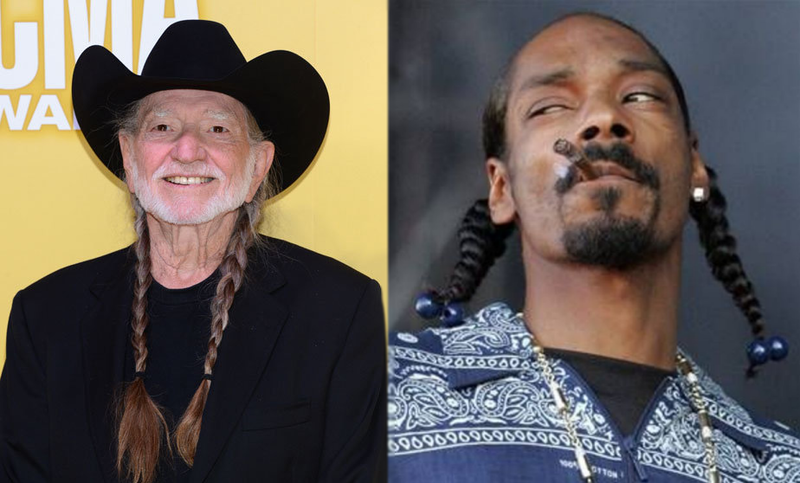 Snoop Lion (formerly Snoop Dogg) has been following Master Willie in the art of Gongdong ab-yeon. He has also been learning the art of braiding hair from Master Willie. Currently Willie is not accepting any more students while he focuses on 'personal enlightenment' but he will be re-opening his dopejo early in 2015. I wonder if he remembers getting the belt. Is Beck Hansen Michael Cera's Dad?